Full control in your hands! The unique amBX technology allows for new levels of user interface design with the capability to make complex and difficult-to-use lighting control a thing of the past. Controls are delivered for one space as touchscreen apps for tablet PCs with a Master Control system resident on the system server. 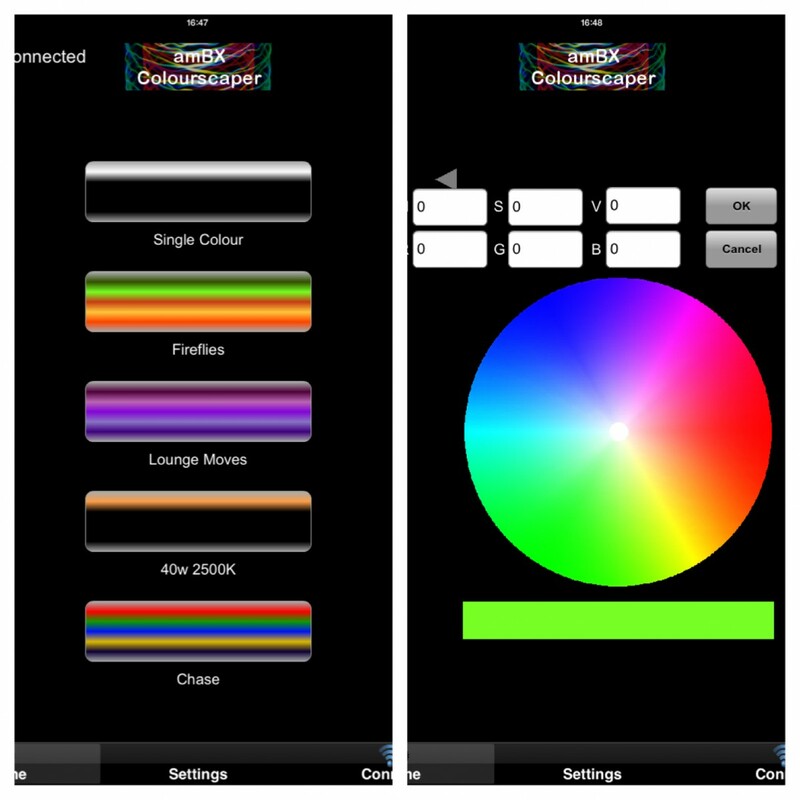 The apps can be configured for the venue and customised to the Light-Scenes required in the space. Where the amBX solution is controlling lights as either multiple circuits or multiple spaces, Sun-Light Solutions offer bespoke control apps, which can be branded for the client and created to control up-to 32 spaces or circuits, with space/circuit selection, independent brightness & saturation control plus Light Scene selection and RGB colour wheel for selecting just the right colour. The system is flexible enough to suit all projects and can be fully customised for special requirements. Light-Scene selection: a single touch will smoothly transition the lighting from the current Light-Scene to the one selected. Colour Selection: the colour palette of each Light-Scene can be easily changed in seconds from the pre-set colour library, a full colour picker or even the exact colour reference data. Brightness & Saturation: simple slider controls to get the light levels just right. Update Light-Scenes: the Colourscaper will synchronise to the Light-Scenes installed in the Light-Scene Engine in order to keep up-to-date with any changes made to the installation. 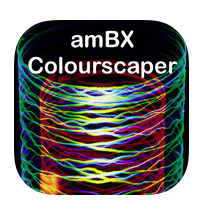 The amBX Live App allows the space to be easily set up by selecting colours for different parts of the room or area. The screen represents the floor layout of the room and, for example, by simply clicking in the right-hand corner you have control of the lighting in the right-hand corner of the real room. Click and drag to move the colour around and the effects appear in real time in the real room to allow rapid ambience creation for the right effect every time.